We see no reason whatsoever for which your beloved dog shouldn’t have a cozy place to rest nicely and comfy after all that barking. No matter how much he/she loves that spot, it’s also a place where saliva, dirt, germs and hair build up, so cleaning their bed on a regular basis is another thing to do for your funny pet. Whether you’re using orthopedic dog beds or some regular cushion for your four-legged friend, one thing you need to do for sure: keep them clean for the health and well-being of your dogs (see this pet blog for more info). What if the bed comes with a cover? It’s important to get rid of the large clumps of dirt or any other pieces of debris and shaking the bed one is the first thing to do. Go outside and don’t be afraid to get dirty. Don’t forget to look for the pieces of dirt that won’t come off easily and beat them with a stick or a small broom. Use a handheld vacuum or use a crevice attachment from your standard vacuum for a thorough vacuuming of the dog bed. Pay attention to the seams and folds in the bed where debris, dust and even insects may hide or build up. A dusting attachment is better to use for sweeping over the large and flat areas of the dog bed. You should use the crevice tool mostly for the stitching part. While cleaning your dog’s bed, you may happen to see some patches of dirt or dried on mud that aren’t easy to get rid of. You may have to place a damp washcloth or a paper towel in that case. Let the towel sit on top of the stain for 20 minutes or so. Wipe away the softened dirt and use the back side of your towel for that. A good idea to get rid of the stubborn patches of dirt is to use a toothbrush. If you’re planning to wash the liner of the dog bed, it’s better to check for spots or stains before you do that. It’s not good for your dog to use any cosmetic treatment product as it may not rinse well and any residue could be irritating for your dog’s skin. You should clean the stain only if it’s dangerous for your pet (vomit or blood from another dog fall into this category). 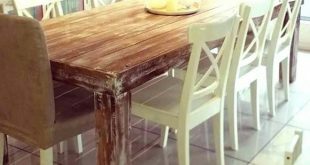 If the stain is simply cosmetic, some soap and water may be enough for removing the stain. Try to use non-bleach spot treatment as often as possible and follow the instructions. Should you ever find yourself in the situation you need to use bleach, go for a chlorine-free bleaching agent. Don’t forget to rinse thoroughly and entirely before you wash the bed. If the dog won’t quit urinating in his bed, try the dog shock collars training. This isn’t a common matter, but it’s not impossible to have some insects infesting your dog’s bed. If so, it’s important to treat them right away and throw all bed parts in some boiling water. Let it stay in the boiling water for 5 minutes so that you’re sure that all the pests and their larvae are killed for good. Never leave the bed in the boiling water for a long time. It may end up melting. 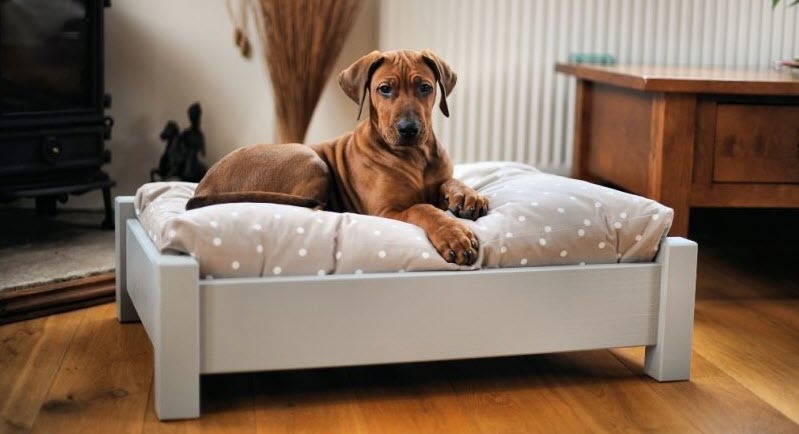 Don’t let your dog use the bed until you’re not done with the cleaning of pests. When you’re done with the cleaning, refresh your dog’s bed with some pet-friendly odor absorbing spray. You should do it lightly as your dog has quite the sensitive nose. Remove the cover and zip it back again without the cushion. You don’t want the zipper to snag as you’re cleaning the cover. Take a good read of the tag on the cover so that you’re 100% sure that you can wash it in your washing machine. The tag may say hand wash only, so you should use the hand-wash setting on your washer. However, you can also simply manually wash the cover. Double check the tag for some restrictions on the water temperature. Wash the cover with some hot water (or using the temperature setting recommended on the tag) and a pet-friendly detergent. A scent-free and environmentally-friendly detergent is a safe choice for your pet. Nevertheless, check your local pet store as you may find products that are especially made for your pets. When hot water is out of option, you should also disinfect it first in some hot water, for a couple of minutes. You should end with drying the cover, according to the info on the tag. You should be able to dry it on a normal or permanent press setting of your dryer. Some covers need air-drying, so hanging them from a laundry line or a rod are the best way to do it. The dog bed is also going to be washed from time to time, so hand washing it with some hot soapy water with dog-friendly detergent is going to cut it. Don’t forget to start with some hot water for disinfecting it. Agitate the bed and make sure that all dirt is removed from the surface. Rinse out the cushion with fresh water and wring the fresh water as much as you can. You want the cushion to be damp and not wet when you’re done. Let it air dry on a flat surface and only cover it when it’s entirely dry. Be ready to wait a couple of days until that happens. Put it all together when everything is all dry and clean once again. Who’s happy and joyful again?